An exciting innovation in creating an eco and skin friendly baby wipe. Use in conjunction with GAIA's soap and sulphate free cleansers, skin-softening moisturisers and soothing nappy products to gently care for baby’s delicate and sensitive skin. NOW AVAILABLE IN REGULAR 80 WIPES PACK,TRAVEL SIZED 20 WIPES PACK AND 240 WIPES VALUE PACK!!! WHY IS BAMBOO SO SUSTAINABLE? Bamboo is 100% biodegradable – the wipes break down naturally (when out of the packet) with no negative impact on the environment. Bamboo inhales CO2 and exhales O2 into the atmosphere – generating more oxygen than trees. Bamboo is harvested from established plantations, not from forests – so it does not destroy animal habitats such as the orangutan or panda. This type of bamboo is not the type panda’s eat, so it is very 'Panda-Friendly'! Bamboo is harvested chemically free. No bleach or chlorine is used. Bamboo is also 60% more absorbent than cotton. 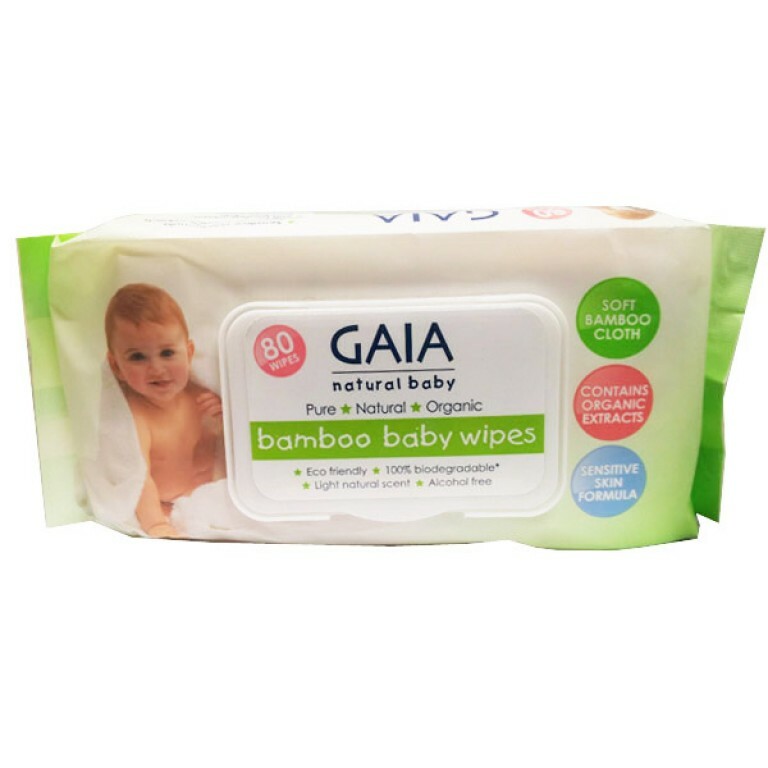 Click the button below to add the Gaia Bamboo Baby Wipes to your wish list.